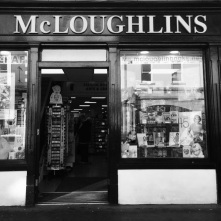 McLoughlin's is a fine family-run bookshop with an excellent selection of titles in the beautiful town of Westport. The staff are friendly and helpful. Great selection for children and in particular books in Irish. Regularly has offers and special promotions so this a bookshop that's always worth popping into if you're close by!